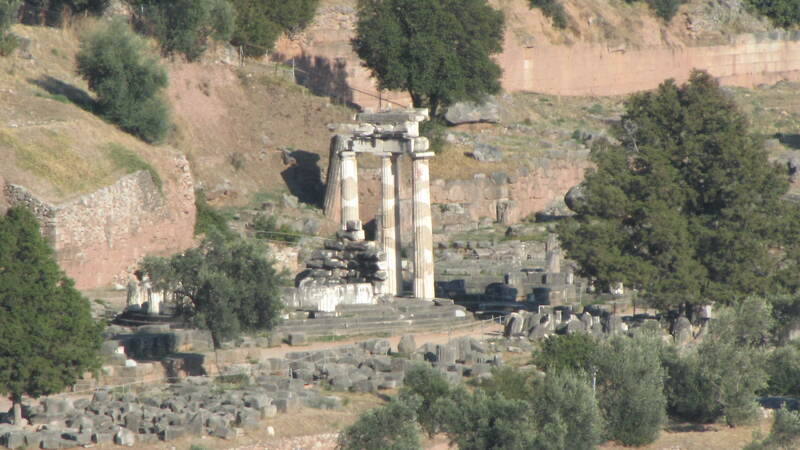 very close to the site of Delphoi! 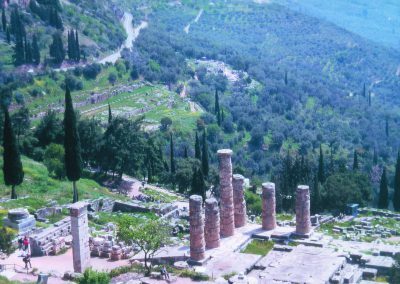 Location: In the village of Delphi, in a small quiet street close to the center, you will find a small family owned hotel named CASTRI. 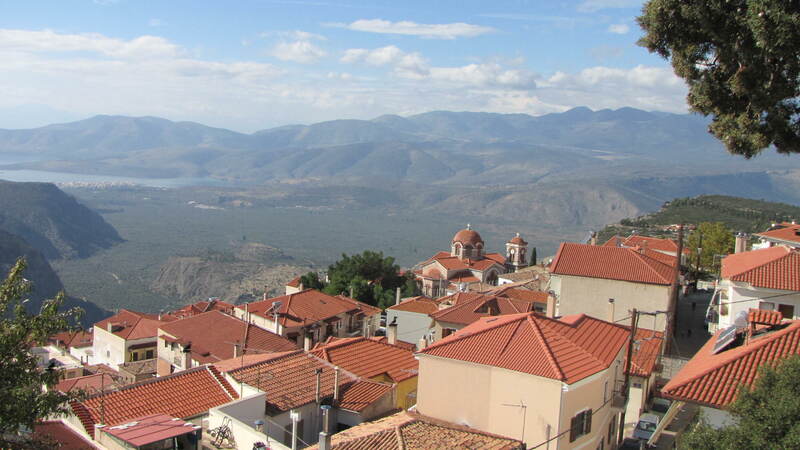 Hotel CASTRI is ideally located to overlook the village and the surroundings. 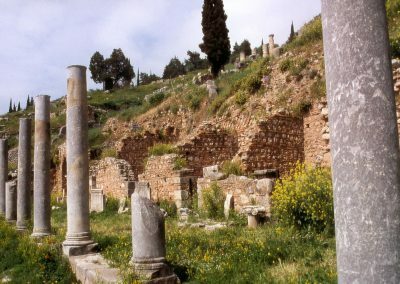 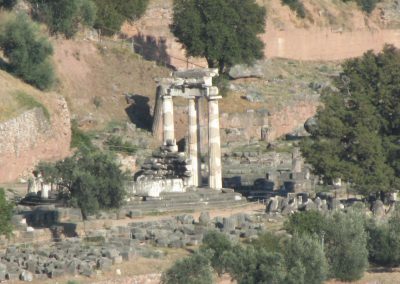 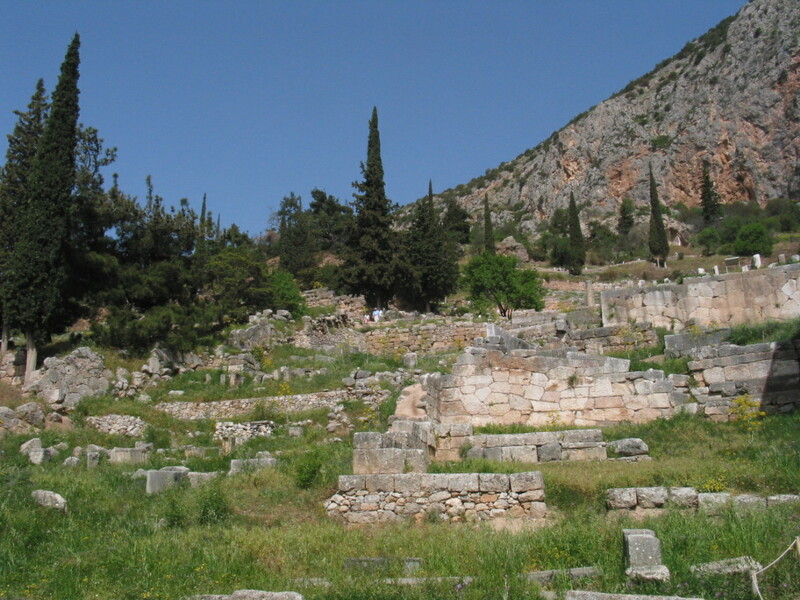 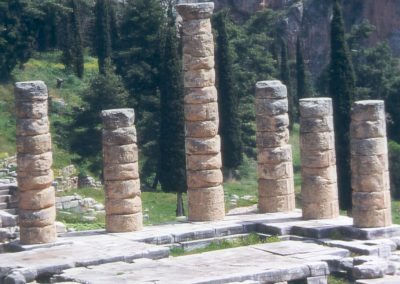 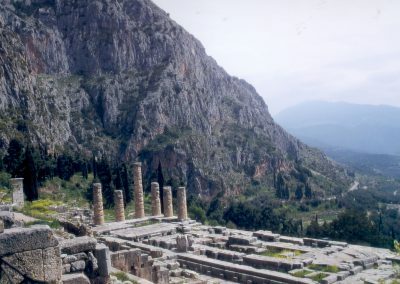 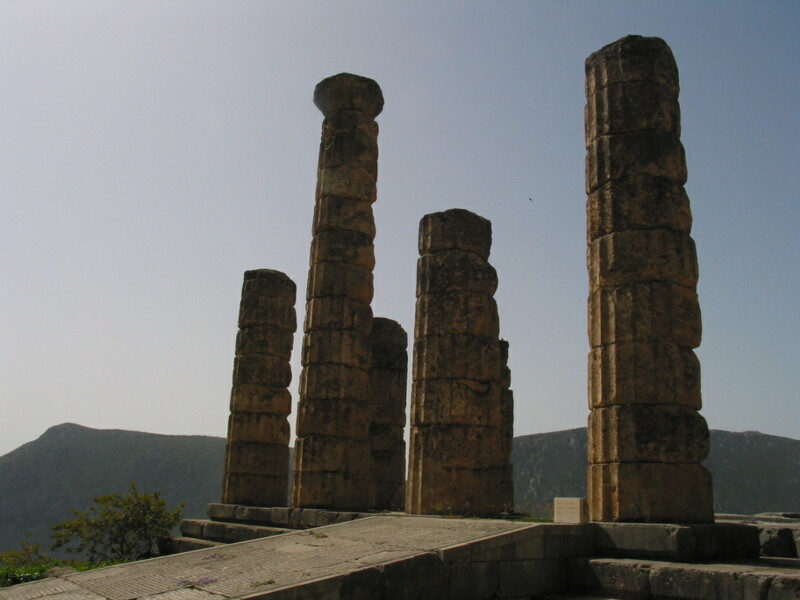 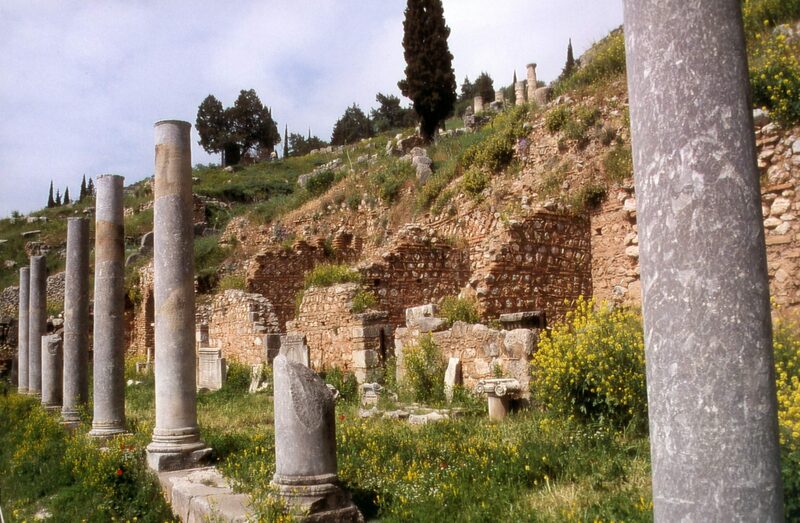 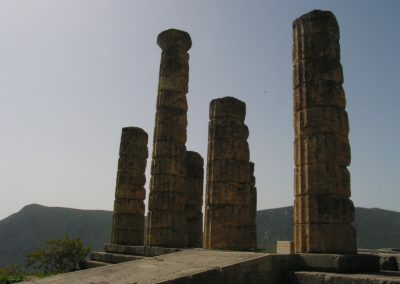 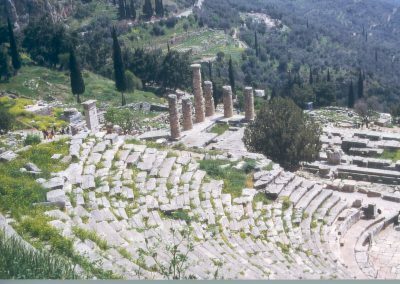 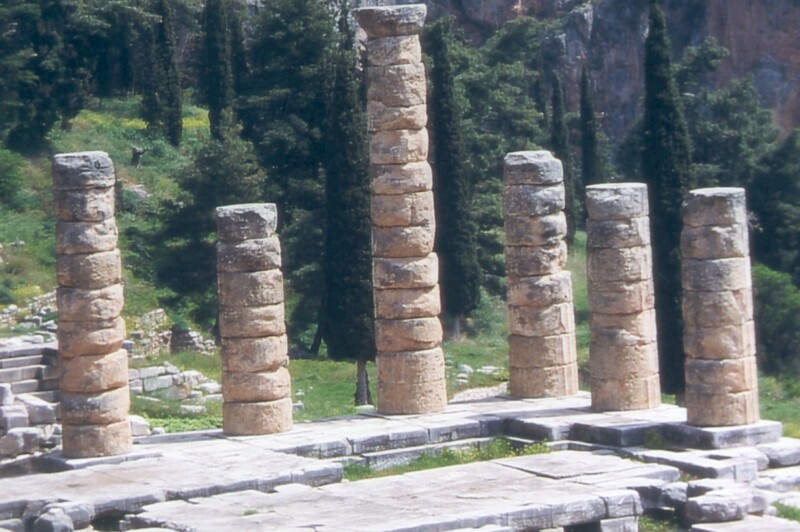 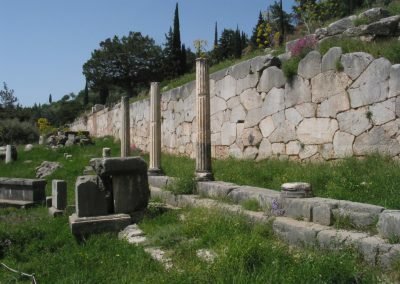 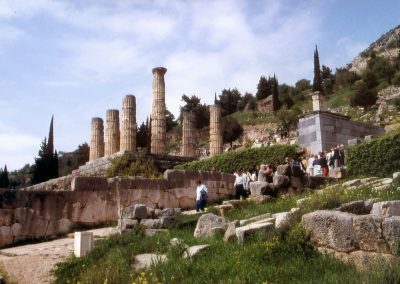 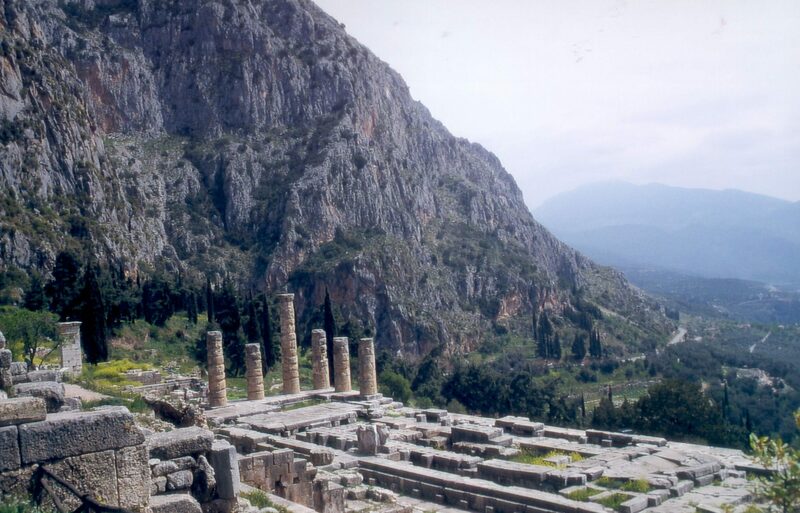 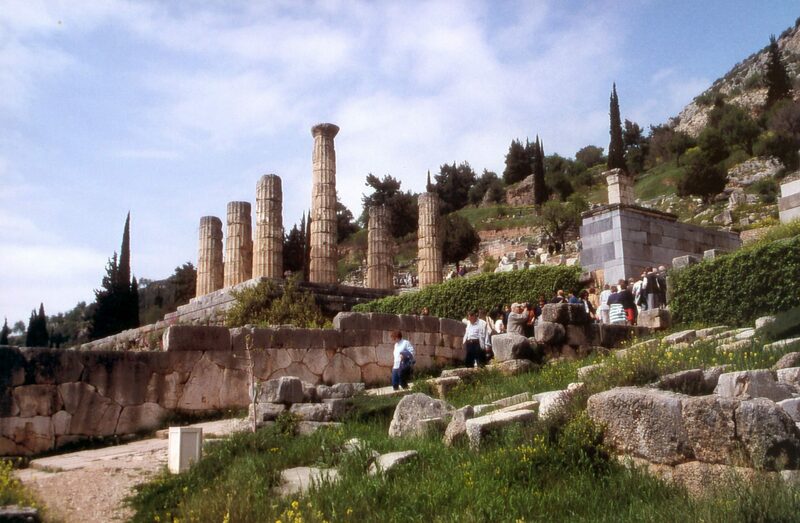 and see the spectacular ruins of ancient Delphi. 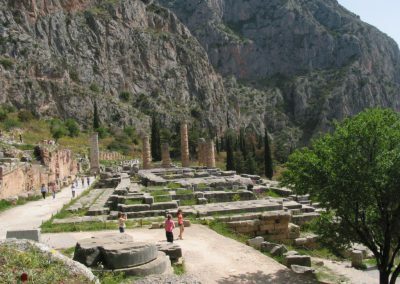 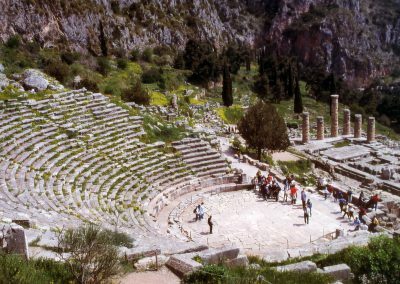 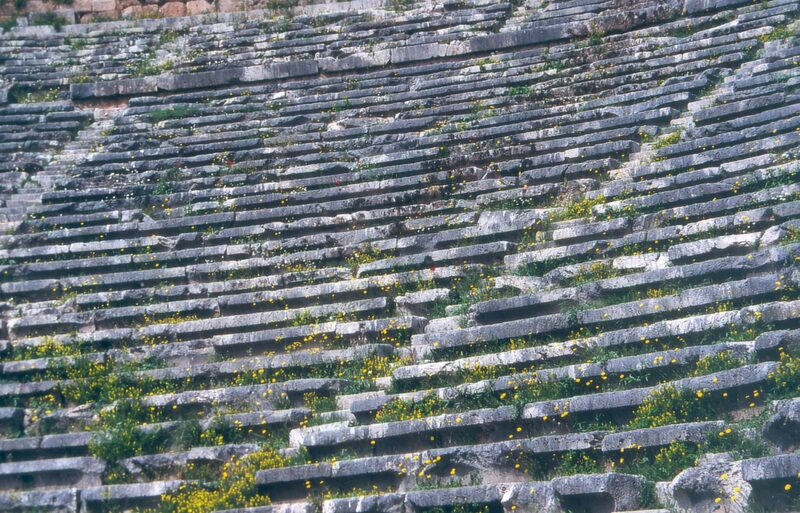 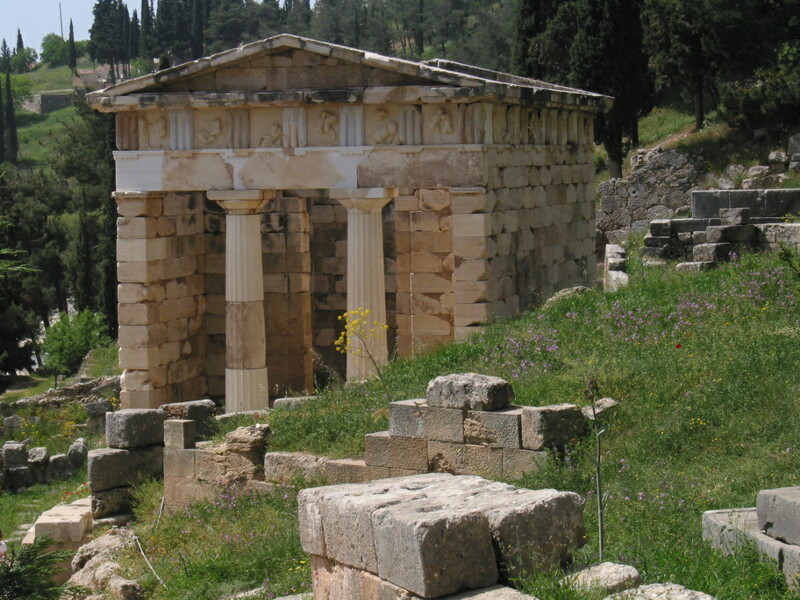 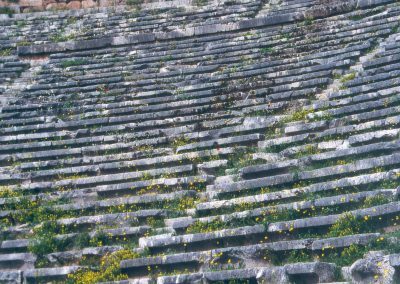 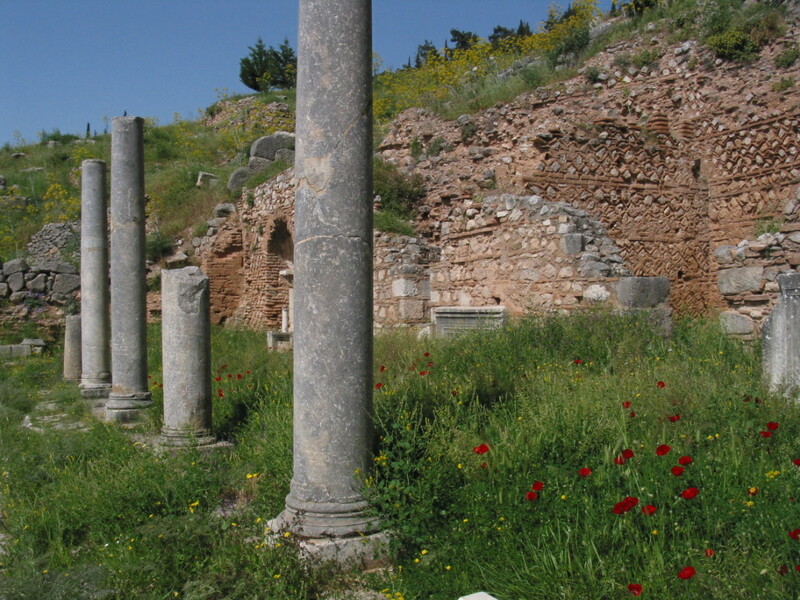 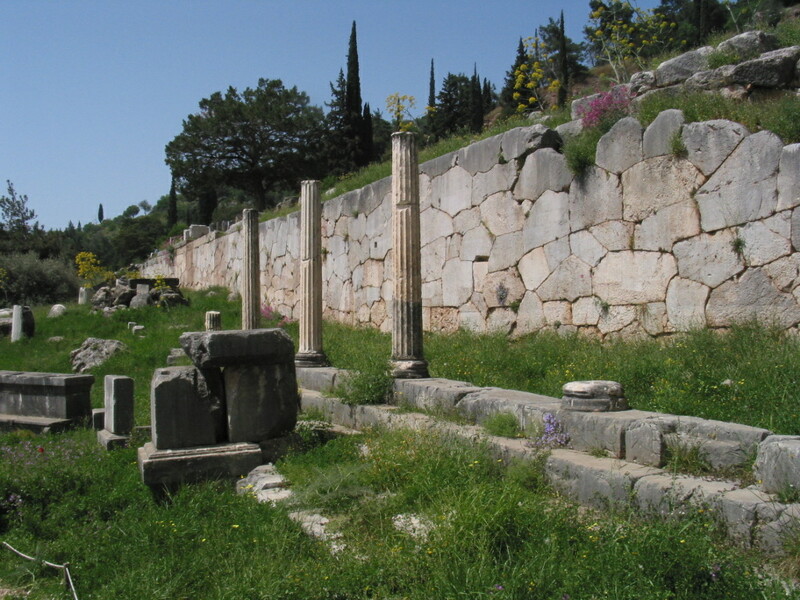 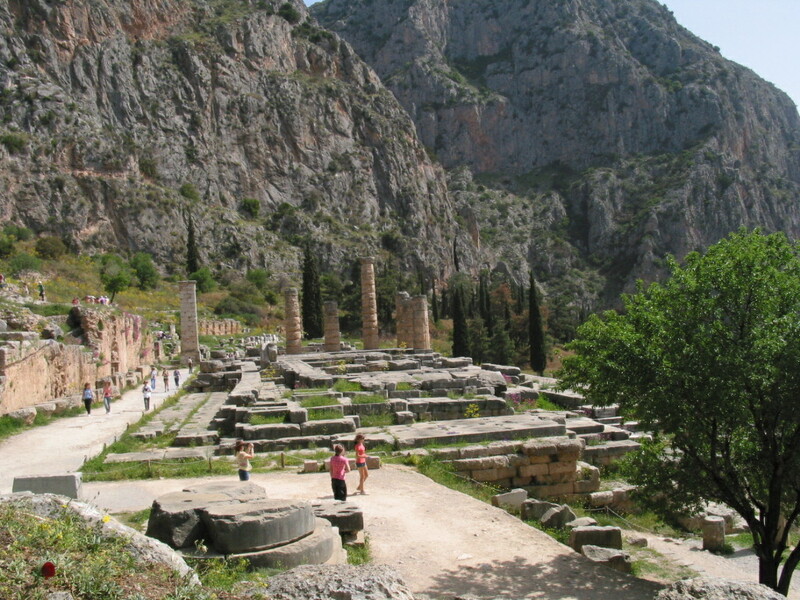 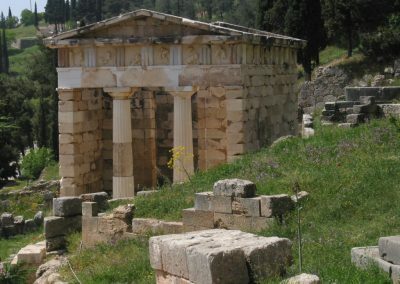 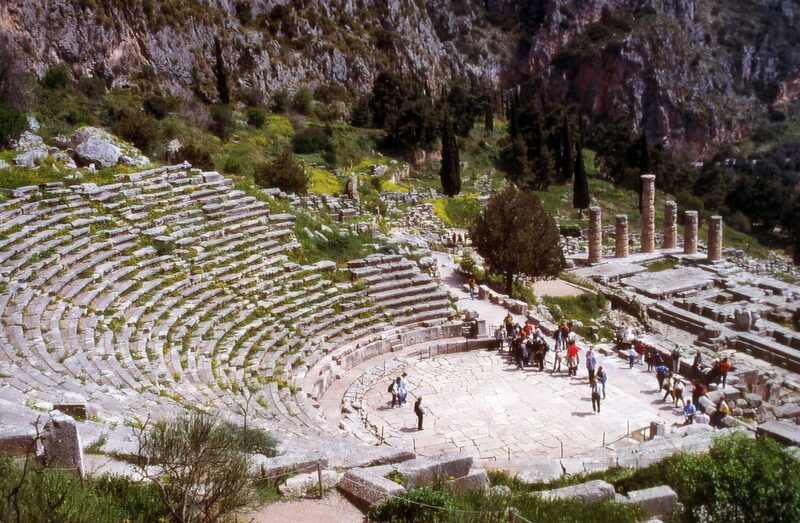 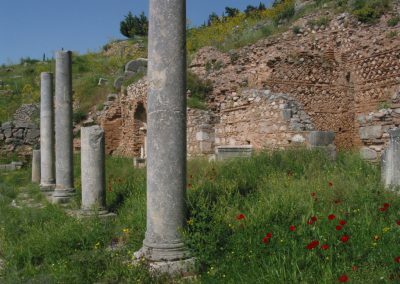 Trips: From Delphi you can make excursions to Itea and to the coastal town of Galaxidi. 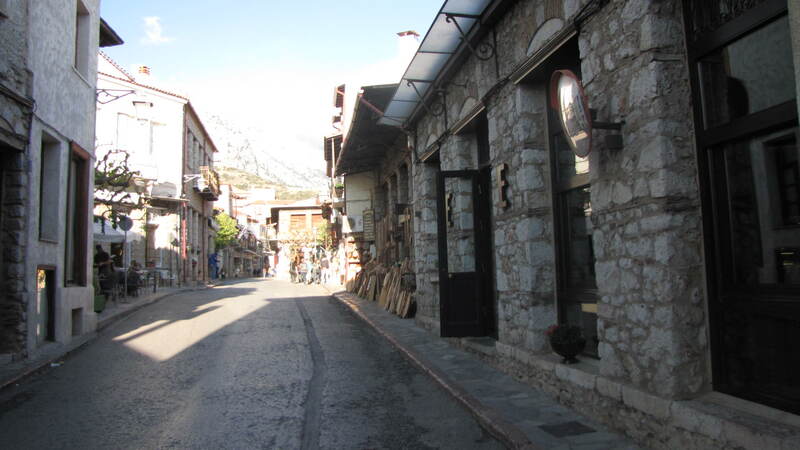 For shopping and more visit the interesting town of Arachova. 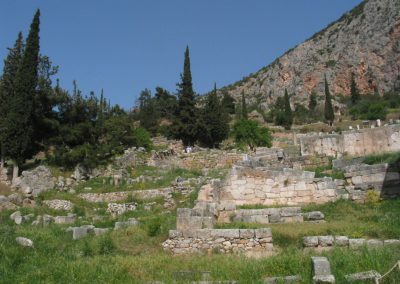 In case you like hiking Mount Parnassos is right there. 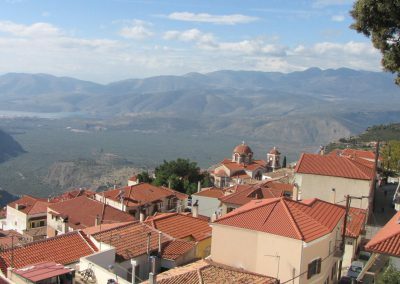 It is worth it to take a trip to the monastery of Saint Lukas which is famous for its beautiful mosaics from the dogmatic cycle of the Greek Orthodox Church.